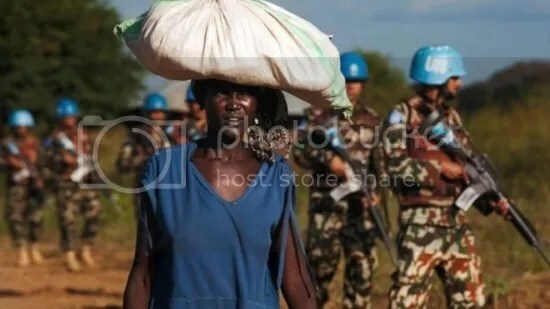 United Nations Security Forces patrolling in South Sudan. (AFP/Getty Images). In the southeastern corner of Virginia, the US military houses the world’s largest naval base. Officially titled Naval Station Norfolk, it conducts logistics for the European and Central Command theaters, and supports 75 ships and 134 aircraft alongside 14 piers and 11 aircraft hangars. On the other side of the globe, the extreme drought in Sudan has placed 20 million people in danger of imminent starvation, exacerbated the country’s civil war, and further destabilized the region. Surprisingly, these two locations share a common problem- they are both impacted by climate change. At Naval Station Norfolk, the Department of Defense has already made plans to protect the base from rising sea levels and a sinking land surface. In Sudan, the United Nations has requested millions in funding to battle starvation, and resulting political instability, mostly caused by the persistent drought. The impact of climate change, at home and abroad, demonstrates the importance environmental regulation to national security, and the danger of rolling back policies that protect the environment and promote national and global stability. As of today, coastal military bases, such as Naval Station Norfolk, are experiencing operational disruptions due to sea-level rise caused by global warming, exposing the installations to considerable infrastructure damage. As a result, the readiness of the bases, and their ability to respond to conflicts around the world, may be compromised as the planet continues to warm. 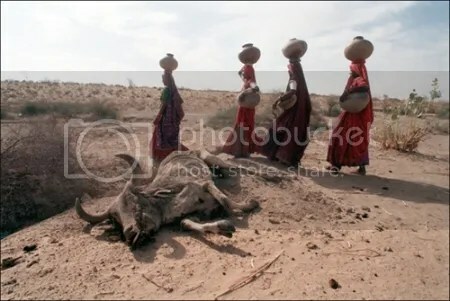 Severe drought in India has caused economic hardship and forced people to travel farther distances for resources. (thelinkpaper.ca). Despite tangible evidence of rising sea levels, and dangers to military bases, the Trump administration has rolled back several environmental regulations since taking office. In March, President Trump signed an executive order aimed at reversing several Obama administration emission regulations. Most notably, the order instructs federal agencies to re-write the Clean Power Plan, Obama’s signature environmental regulation to reduce greenhouse gas emissions. Around the same time, the Environmental Protection Agency postponed a rule requiring oil companies to retrofit machinery to prevent methane leaks- a major contributor to global warming. The Interior Department also halted a new rule limiting methane burning, opting to reconsider the regulation before putting it into practice. In addition to domestic policy, the Trump administration’s decision to pull out of the Paris Climate Agreement has global security implications as well. As part of the accord, the US pledged to limit its emissions by 26-28 percent from 2005 levels by 2026. However, on June 1st, President Trump withdrew from the agreement, citing its unfairness toward US industry. In response, a NATO general warned that rising seas, and increased Arctic access, would lead to wars that implicated NATO countries. The UN Secretary General also expressed concern for global security in the wake of climate change, stating that famine and displacement from extreme droughts and storms would destabilize existing political boundaries. In sum, as the planet warms, Mother Nature increases her capability of destabilizing destruction. Without a commitment to environmentalism by the US, the consequences for national and global security will be dire. Those consequences start at home. Along our expansive coastlines, the US has strategically placed military bases to house war-fighting equipment and personnel. These bases not only store expensive military machinery, but also serve as operational locations for conflict response. As sea levels continue to rise, valuable military base infrastructure, and the equipment housed there, will be exposed to costly damage. For instance, encroaching ocean water can imperil base runaways and housing, thus preventing operational readiness. Further, more powerful storms endanger equipment stored on the bases, including expensive ground and aviation vehicles. 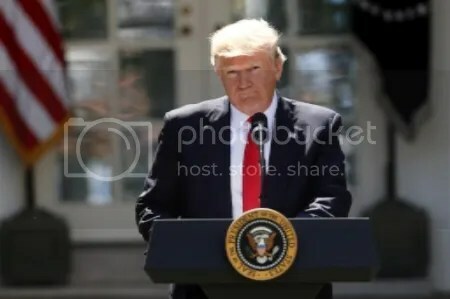 In June 2017, President Trump announced that the US would pull out of the Paris Climate Agreement. (signalng.com). Climate change can have a dramatic effect on global security too. In fact, the destabilizing nature of global warming can alter regional sustainability, and change the way governments allocate resources to promote political stability. For example, extreme weather produced by climate change can render large areas of land uninhabitable. This has been true in countries like Sudan, where severe drought and famine have forced people to leave and seek assistance outside of their homeland. In turn, mass migration caused by extreme weather destabilizes the regions that absorb the migrants, and creates power vacuums in the countries affected by climate change. Additionally, damage caused by global warming redirects public funds into rebuilding efforts and away from valuable security programs. As weather patterns become more intense, governments around the world will need to repair civilian and military infrastructure, likely costing taxpayers billions of dollars. With a new, and expensive, item on their balance sheet, governments will need to divert funds away from traditional security measures, weakening defense and global security in the process. In all, science and empirical observation have alerted us to the perils of climate change, and that our modern system for living is likely to change drastically, forcing us to confront a future markedly different from our world today. Accordingly, it is important to see climate change through the lens of national and global security. As weather becomes more severe, the modern global order will begin to shift as people flee impacted areas, unelected groups assume power in vacated regions and governments contend with damaged military infrastructure and imperiled response capability. In order to reverse this troubling trend, the US must return to responsible environmental policy with the dual goal of conservation and ensuring national security. A good start would be reaffirming the Paris Agreement, and a major step forward would be combining environmental and national security policy to protect the world against the destabilizing blow of Mother Nature’s Sword.